I have to admit to liking a drop. Strangely however I’ve never been able to take part in the rather heavy “straight to the head on an empty stomach” that occurs on Shemini Atzeres during or before Hakofos. I don’t know why, but if I had to hazard a guess, I’d say I appreciate that people have been generous, but the “barn like” atmosphere affects half of me. the Brisker side, and not the Amshinover side. That’s speculation. I don’t really know. My disposition on Simchas Torah is laboured. I tend to look at the Sefer Torah and find it harder as I get older to muster Simcha because the older I get the more I realise that there is much more that I don’t know than I do know. I tend to stand, and look in a Sefer, and probably appears (unintentionally) pompous or remote. It’s my issue. I heard I nice vort today from Rabbi Chaim Tzvi Groner where he said the מחשבה … cognisant thinking are the same letters as בשמחה and that through מחשבה of good things as opposed to wallowing in one’s “I haven’t yet achieved where I should get to” one may get to בשמחה. This is of course quite consistent with modern-day psychology which exhorts parents et al to concentrate on the achievements and the good things. Likely, I am still affected by the hole in my life, that is my father, but should concentrate on the wonderful new additions of our four beautiful grandchildren כן ירבו בדרך התורה והמצווה על פי המסורה הקדושה. 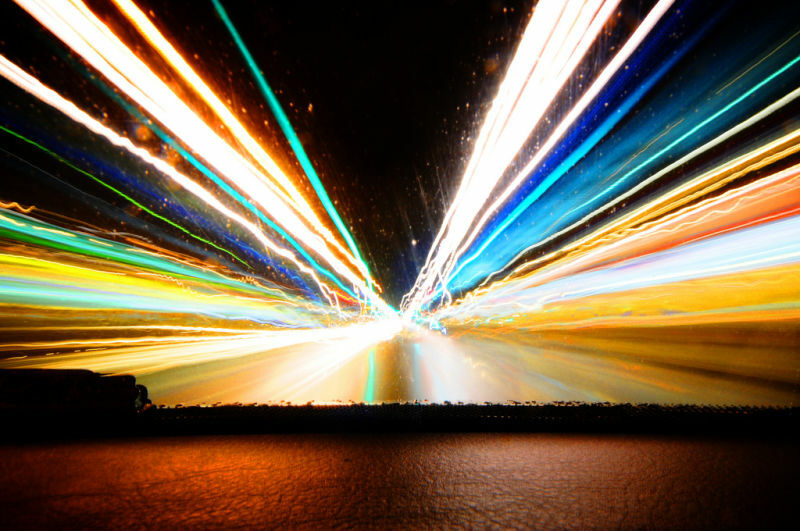 The following two videos are presented in this blog as food for thought. I think there may be a part 3. I’m not sure. I will post it, if I see it. Personally I have a long way to go to get past “going through the motions”. When one is younger, especially returning from higher Yeshivah, one is convinced that they have the Torah. The Brisker influenced part of me, especially from the Rav, and then realising what an ant I am listening to HaGaon Rav Hershel Schachter שליט’’א, has turned me into something more sanguine. It’s not humbleness. It’s just reality. I can’t hide reality. He has made a few mistakes, and it makes interesting reading seeing the different reports from the Age Newspaper versus the Sun. They obviously have different sources whispering in their ears. The anti-Jewish News will have the story just in time to splash on the front page and triumphantly blow its horn as the harbinger of morality (sic). The Yeshivah Centre is undergoing change, no doubt. However, I’m not going to say any thing on the Rabbi Telsner issue because if I do, some will certainly misunderstand my words and it will make no different how I state them. I am sure Rabbi Telsner has learned from this, and will contribute in a way using the gifts God gave him. Rabbi Telsner is a card carrying Meshichist, as is his brother in law, R’ Chaim Tzvi Groner. There is no place in a Shule for screaming signs that no longer belong. There is no Mesora for placards in Shules, and it’s also a failure of Maimonides 13 principles of faith which clearly imply that we believe in Mashiach coming. Mashiach is a term for someone God chooses, it is not a euphemism for one and only one holy person in the Garden of Eden. Denying God this choice is in my opinion Kefirah. Meshichisten will not, cannot, and do not believe it is remotely possible for God to decide whomsoever He chooses from the physically living. That is pretty close to Kefirah. It is also a pseudo Kefirah for them to even entertain that there may well be someone else chosen because they won’t appear as a loyal Lubavitcher. As for me, as I have said many times I couldn’t care less who it is. Eliyahu HaNavi will tell us. Yeshivah has lurched to the right. It needs to bounce back to the centre and concentrate on quality education. It cannot afford to be a front for a Mesivta. There is obviously a need for a Mesivta. Let them find premises and build themselves on certain backers finances. The School itself needs to stress the qualities unique in Chabad, and there are many. Let the students be known for being fine examples of the Midos that are imparted by this philosophy. By all means it needs to stay a Chabad school, but one grounded in the realities of Melbourne. Failing that it should stop marketing itself as a community school. Ironically, the School failed dismally to effectively educate Russian immigrants, years ago, and no longer does it serve many who are not religious. That’s their raison detre! Too many New Yorkers have infiltrated and married in and tried to turn it into a fancier version of Oholei Torah in Brooklyn. Bad mistake. This is not New York. I think it’s also time to pull down the rather pointless Yechi sign at the back of the Shule. Those who feel the need to scream this message to the world can bounce on the corner of the street, or wear a yarmulka (which they can’t then wear in a bathroom) wave yellow flags, wear cheap badges and all manner of paraphernalia not mentioned in Shulchan Aruch. It does turn people off, and I include people from outside the Yeshivah centre. Those who really want to experience that type of experience can just go down the road to Dudu Leider’s Israeli Chabad house. They will love it. I’m told they chant Yechi more times than Shma Yisroel, over there, by a factor of 100. Author pitputimPosted on February 12, 2015 Categories Chassidus, EducationTags Aish Kodesh, Atheists, Chassidim, Rabbi Moshe Weinberger, Yeshivah University, YU1 Comment on Interesting article or beat up? The community in Melbourne, and abroad, has been buzzing about a series of articles/indirect interchanges between Rabbi James Kennard, principal of Mount Scopus College and Rabbi Yitzchok Shochet of the UK. I caught the tail end as we were heavily involved in planning and enjoying the wedding of our daughter! I had a moment after the Shabbos Sheva Brachos to quickly read Rabbi Kennard’s second article (I haven’t seen the first) in the Australian Jewish News, and formed some thoughts which I now have a moment to put down. Three of our children married into Chabad families. Our fourth will also do so in a month or so. None of our children attended a Chabad Yeshivah or Seminary after their Schooling. Chabad never saw the establishment of the State as the moment of the beginning of Geula. On the other hand, the establishment of the State certainly occurred during the time when the Geula was imminent, according to Chabad philosophy. In general, unlike many groups, Chabadniks do not spend their lives in Kollel. They either go out and get a job/study, or they become Shluchim. That’s not to say they embrace Torah Im Derech Eretz as a particular philosophy. Rather, it’s how one survives and lives. Chabad was and still is a leader in Jewish outreach, and this stems from extreme! Ahavas Yisroel, as stressed in Chassidus Chabad, where the Neshomo Elokis of a Yid is what counts, at the cost of all other considerations. This is a good thing! The Rav himself stated that Chabad taught the world how to bring Yiddishkeit into Reshus HoRabbim as opposed to Reshus HaYochid. The Rav noted that the differences between the Tanya and Nefesh Hachaim were semantic nuances that most did not and could not understand. The Rav did, of course. Indeed, Rabbi Brander mentioned that the Rav wrote a Pirush on Tanya which is still בכתב יד! Until now, I have written about Chabad. Of course, like every group, there will always be a mismatch between the philosophy and some of the implementors (call them Chassidim) of that particular philosophy. Some Chassidei Chabad are what one might call “more tolerant” of difference, whereas others (often these are newer chassidim) range from less tolerant to downright intolerant of anything which isn’t in immediate accord with the Chabad approach to life. In this, one could argue that Chabad are no different to others. I would argue, however, that Chabad are different. Their difference lies in the fact that they absolutely revere and adhere to their approach to Yiddishkeit and do so with Mesiras Nefesh. Any student of history or sociology will have noticed that elements of this reverence have rubbed off on so called Misnagdim, who now have Rebbes in everything but name. “Gadol HaDor” anyone? It is a well-known Gemora (I think in Taanis) that says that Hashem will, in the future, create a circle of Tzaddikim (in plural) who will dance around him and point to the epicentre of truth, which IS Hashem, בעצמותו. 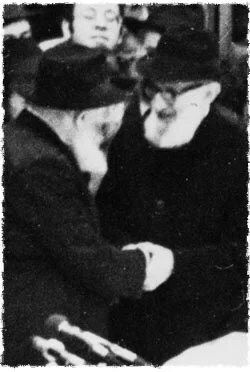 Many have repeated the interpretation (two which readily come to mind are Rabbi Akiva Eiger (whose grandchildren were Chassidim) and Rav Kook (whose mother came from Chabad)) that a circle was chosen rather than a square or indeed a line (dance) because each Tzaddik represented a different but equal approach to Avodas Hashem: call it a different perspective. The point of this Gemora (I think it might even be a Mishna, but I’m writing without looking as I have little time at the minute) is that each approach is equidistant to Hashem. Each is valid. Each is correct. Personally, despite my background, I have not developed an understanding or appreciation of Chassidus Chabad or any other Chassidus. When I was introduced to Mussar, I disliked the almost “abusive” approach of reproach. I learned Kuzari (which Rabbi Kennard might be interested to know was originally something that Chabadniks had to know together with Moreh Nevuchim!) but found it outdated. I was attracted to the Rav, and elements of Rav Kook, in the main. That’s just me. That being said, I don’t know if so-called “modern orthodoxy”, which is a term the Rav did not like, is what is “needed” by the congregants of the Great Synagogue. I do not know how Rabbi Kennard knows that either. If he does know it, then I would hope that he flew to Sydney and addressed the board and congregation of the Great Synagogue and explained to them why that style of philosophy was the correct one for the Great Synagogue. 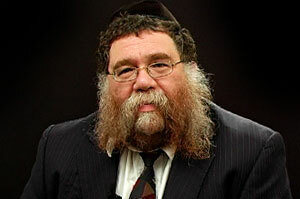 At the other end of the spectrum was the late and great Rabbi Groner. He wasn’t the Rabbi of a non Chabad Shule. He was the Rabbi of a Chabad Shule. He was the head Shaliach of the Rayatz and then the Ramash. He certainly projected Chabad through a more defined prism, however, at the end of the day, he too never shoved Chabad down my throat, and I was known to be vocal on issues I might have. I often heard him give a drasha based on a vort he read from someone other than the Ramash (not that it contradicted Chabad philosophy). I attend a great shiur by R’ Yehoshua Hecht. He has no problem with saying “the Rebbe Nishmoso Eden“. He is as strong a Chosid as anyone else, and speaks without fear or favour. I am aware, though, of some who are “not as well read” or “not as exposed” to the different Jewish world views and people who exist. As such, they are certainly less tolerant, more narrow-minded, and frankly, less likely to succeed! (in my opinion). The point I am making, of course, is that it is more about the Chosid him or herself, than the Chassidus itself. So, while I don’t learn Chabad Chassidus per se, I have to say that their approach of love and being non judgemental as a primary mode of returning Jews to their roots, is something that is inspiring and we all can learn from. Clearly, places like Aish HaTorah have adopted this approach. It’s the only approach that can work in my opinion. The days of chastisement and admonition have long passed their expiry. I did not like Rabbi Kennard introducing the issue of child abuse in the context of his article. I felt that this was completely out of context and in boxing terms a hit below the belt. Rabbi Kennard is not a fool, and he knows full well, as we all do, that actions speak louder than words, and words unfortunately seem to fall in the domain of lawyers and those who are litigious by nature. When the Labor Government came into power they promised an apology to the indigenous population of Australia. Speak to any indigenous person. They will tell you that an apology is meaningless in the context of a void of action. Action is the key, and like Rabbi Kennard, I have no doubt that action has and continues to be taken to make sure that world’s best practice of prevention is implemented in the School in question. 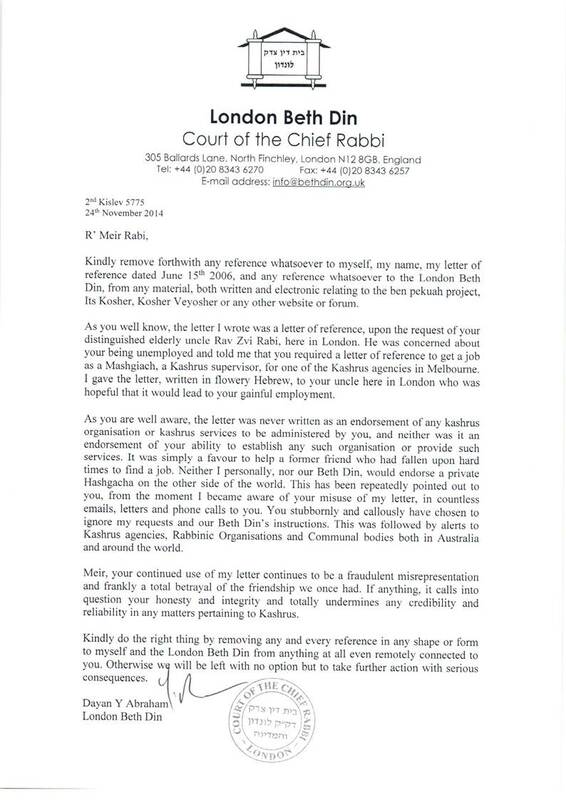 I think it was unwise for Rabbi Shochet to debate Rabbi Kennard on this matter. Did he really think that he could argue cogently with the points that Kennard had made? I also think it was unwise for Rabbi Kennard to make a call on the Great Synagogue’s needs in the Australian Jewish News, when in my opinion there are much more important issues threatening all Orthodox approaches in the circle I mentioned above. The Jewish world is buzzing about “egalitarianism” and the actions arising out of that fever. There is a growing Shira Chadasha, a private Hechsher that is causing waves of discontent, Ramaz’s issues with Tefillin in the women’s gallery (will Rabbi Kennard allow that at Scopus? ), the Maharat debate and more. Yes, I agree with Rabbi Kennard that there is more than one way. Yes, I agree with Rabbi Kennard that Chabad (like others) think that their way is the best way, but I am interested to know where the issue of Chabad and the Great Synagogue’s choice of Rabbi sits in terms of importance to the Jewish world, vis-a-vis the issues I outlined above (and more). Netanyahu had taken to using this metaphor in many speeches and discussions. If I’m not mistaken, he also used this metaphor in his famous recent speech to the UN. The metaphor is apt an powerful, and certainly justifies the lighting of the Jewish soul, if you wish, by Chabad emissaries throughout the world. He made the point (unrelated to Chabad) that whilst its true that a little light can illuminate “big” darkness, that Mitzvos are limited in that they are but the light of the candle. It is not effective on the larger scale, so to speak, of vast darkness. They light up the immediate surround, but are pretty limited as one moves away. Torah, however, is light itself. Accordingly, says R’ Schachter, if one wants to really illuminate and disperse the darkness, one needs to increase in Torah learning, whose light is Or itself. I guess it must have been about 20 years ago, when I sat at the Seudas Bris of a baby who had just been named Avrohom. For some reason, I can vividly remember the scene, including the exact table and seat where I was sitting. I don’t normally remember such things in this way. 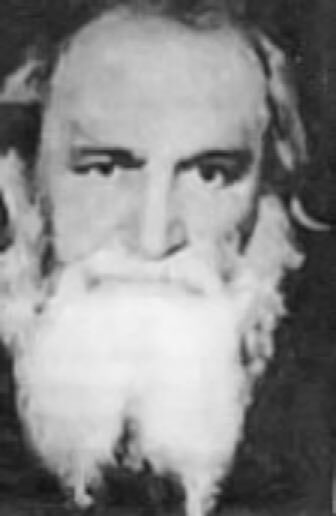 Rabbi Groner ז’ל was speaking in his renowned powerful and emotive manner; a style which many of his students have naturally if not genetically assumed in their own delivery. I do not know why, but I remember these words with remarkable clarity. The little baby was a great-grandson born through R’ Avrohom’s daughter’s family (Rubin). We were and remain close friends of the then little Avrohom’s parents and family. Subsequently, I saw a large photo of R’ Avrohom Mayor and was awe-struck by the holy הדרת פנים of his countenance. That was then. Recently, I read that a book had been published by his grandson (Moshe Yosef Rubin) which could be described as a biography of R’ Avrohom. Lately, I have been caught up buying lots of books, and wanted to add this one to the long list of books I intended to read. Not finding the book at bookdespository.com or amazon.com made the purchase less than automatic, so I expedited the process by borrowing a copy. Over Shavuos, I finished reading the book and it left me feeling both inspired and inadequate. The book is nicely referenced and footnoted, and even allowing for the natural license of a grandson to possibly exalt his Zeyde or omit the odd narrative, it was inescapable that I had read about an impressive and incredible human being. In my travels, I have been to the USA several times, but only twice to New York. Despite my school years in Chabad, I felt no specific desire to visit 770 Eastern Parkway, and, in point of fact, I have never been there. I am not a Chosid, and have never been in Yechidus with any Rebbe, let alone the Lubavitcher Rebbe ז’ל. I never felt I had anything meaningful to say, and all that I asked for, I tried to achieve through my poor but personal davening. For reasons of familial nostalgia, I did want to visit the Amshinover Rebbe, if only to tell him that I was attending on behalf of my late namesake, who was an Amshinover Chasid, but alas, each time I attempted to see him, it didn’t work out. Maybe that’s the way it was meant to be. After reading this book, however, at this stage of my life, I would have liked to have spent a weekend participating in one of R’ Avrohom Mayorer’s apparently intimate and uniquely inspiring farbrengens. Elderly Russian Chassidim were not a new phenomenon to me. 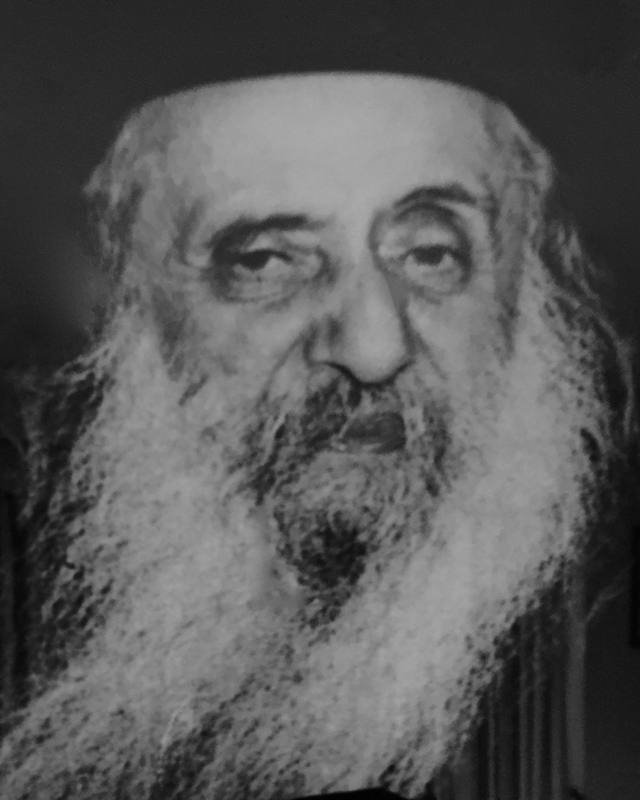 Rav Perlov ז’ל and Rav Betzalel Wilshansky ז’ל were originally Chassidim of the Rashab ז’ל and even a young non conforming and fiercely individualised lad like me could not help but be intrigued by their הנהגות, demeanour and countenance. Rav Perlov seemed to be ancient. We were davening שחרית at the school’s 7am minyan, and he seemed to have been there from the crack of dawn. 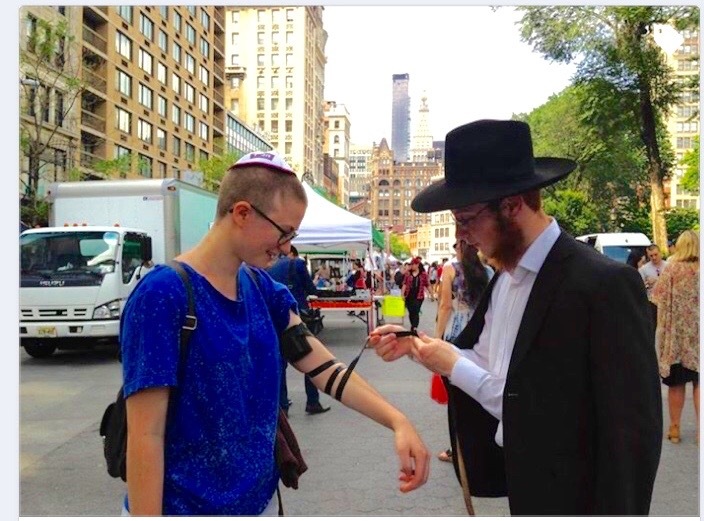 Watching him slowly removing his Rashi Tefillin and don Rabeinu Tam’s tefillin was like a slow motion movie. The world seemed remotely removed from Rav Perlov. Time was an irrelevance. He was seemingly hovering above time. His קריאת שמע took an eternity. R’ Perlov’s wife was no less daunting. I can still vividly see her face, as she walked across the school yard while we played football. She held up her hands, shielding her face, slowly shuffling across the yard, concerned that a ball might hit her. We, of course, froze, and halted our sport until she had safely passed. 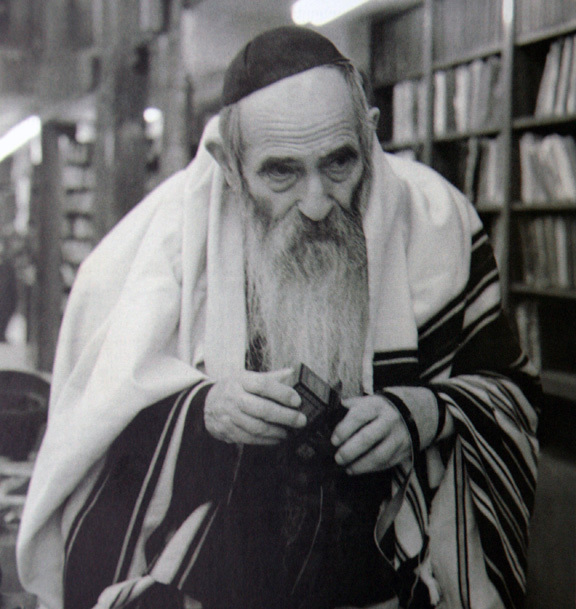 Rav Betzalel, with his rounded enormous hat and greyish kapote, was a picture of יראה. I feared looking at him. He seemed thoroughly gripped and enveloped by דע לפני מי אתה עומד. It was as if he was acutely aware of אלקות at each moment, while we were remotely meandering through a confused sea of גשמיות with the odd sprinkle of רוחניות. One Tisha B’Av stands out. R’ Betzalel was called up to say the Haftora of אסוף אסיפם and his loud wailing and sincere crying left me speechless and in awe that someone could so acutely feel the words of the נביא. It is also one of those moments where I can vividly remember exactly where I was standing, as I watched R’ Betzalel literally go to pieces. 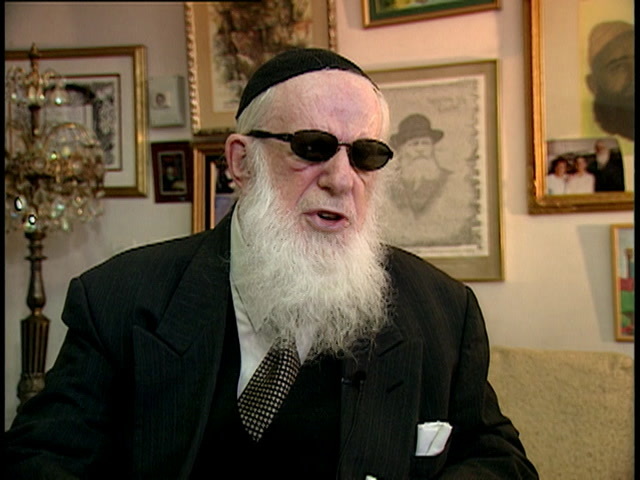 R’ Zalman Serebryanski ז’ל was the warm and smiling, intellectual, Rosh Yeshivah and R’ Isser Kluwgant ז’ל carried himself with the dignity of מלכות. R’ Betzalel Althaus ז’ל epitomised שירה וזמרה and התעוררות, but it was R’ Nochum Zalman Gurewicz ז’ל who was the master story-teller. It was R’ Nochum, who interrupted our Gemora classes to tell us about the NKVD and his time in the army. It was he who attempted to regale us with stories of near escapes from the clutches of the evil Soviet empire. But I, and many others, were the sons of Holocaust survivors. As second generation survivors, stories of Soviet persecution didn’t leave me with the type of indelible tattooed watermark of the שארית הפליטה. This was not the archetypical definition of death and destruction: the evil Amalekite Nazi regime. Put in simple terms, I was brought up surrounded by Holocaust survivors and their harrowing tales. I could not make room to digest the stories of Soviet Jewry, despite being surrounded by the aforementioned respected, impressive and honourable older Chassidim. Fast forward to this new book. I have a new-found understanding. To put it simply, the stories in this book captured important elements of the attempted destruction of Judaism in the Soviet archipelago, whereas the Holocaust was about the attempted destruction of the Jewish Nation. The Nazis didn’t care if one was frum, half-jewish, a bundist or fascist. If you were Jewish, you were to be exterminated: end of story. The Soviets, however, would leave you alone, and indeed embrace you, if you cast off your Judaism and adopted the communist oath of allegiance to Stalin ימח שמו and his evil socialist ideology. Enter R’ Avrohom Mayorer and others of his kind. 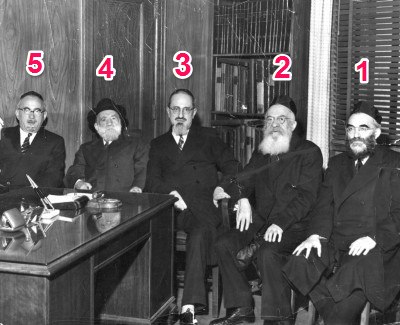 These were Chabad Chassidim who fought with all their might to stave off the attempt to kill Judaism. Story after story of immense bravery, courage and conviction is retold expertly and one is left in wonderment and disbelief. How much easier would it have been to stay alive, unpersecuted, and in comparative safety, simply by compromising and exclaiming יעבור ואל יהרג? The inspiration for this struggle against the Soviets was the fulfilment of the direction from the Rashab and the Rayatz ז’ל. These Rebbes loomed large in the hearts of the Chassidim who risked their lives, daily, to make sure that the נכשלים אחריך didn’t give up their souls to Godless Soviet atheism. But this was not just a story about the Soviet Union. R’ Avrohom continued with the same fervour to build up Chabad institutions in the new State of Israel. 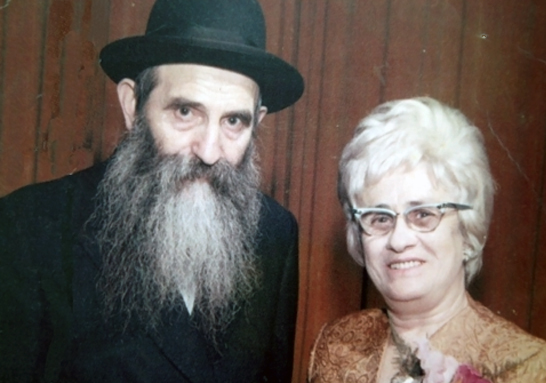 Whether it was Lod or Kfar Chabad or Tel Aviv, R’ Avrohom Mayorer was devoted to his task of ensuring that Torah (and Chassidus Chabad) flourished in the most difficult and challenging times during the formation of the Yishuv. Life was physically challenging and these were a different style of pioneer in the newly growing, but constantly challenged State. In his later years, R’ Avrohom finally moved to New York where he was united with the family he so dearly loved. 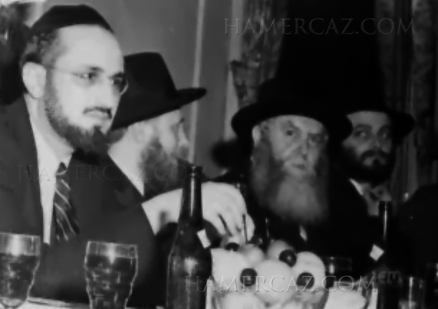 It would seem from all accounts that the last Rebbe ז’ל preferred that R’ Avrohom spend all his days in Israel. R’ Avrohom, was R’ Avrohom. You could take the man out of any country, but you couldn’t take his care and support for Chabad and indeed any Jew, out of the man. You could transplant him into Uganda, and he would find a way to spread Yiddishkeit בכלל and Chabad חסידות בפרט. The issue of R’ Avrohom not remaining in Israel isn’t covered in the book, nor would one expect such a private issue to be discussed in the context of a book written by his great-grandson. Notwithstanding this fact, in my view, it can only be the small-minded, gratuitous, simplistic and ignorant חסיד who failed and fails to see the wood from the trees and appreciate the immense impact and personality of this major תלמיד חכם. It is not a matter of chance that arguably the Rebbe’s greatest חסיד, R’ Yoel Kahn, spent many long hours in deep conversation with R’ Avrohom. Like the Chassidim I encountered in my youth, this book vividly painted the picture of a man who was larger than life. R' Avrohom with his partner in life R'n Sarah. What does it mean? Hashem doesn’t want the death of a dead person? If he doesn’t want it, then why let man die? And so what if כי אם בשובו מדרכו וחיה—even after תשובה man dies. R’ Avrohom Mayorer explained this in a brilliant way. 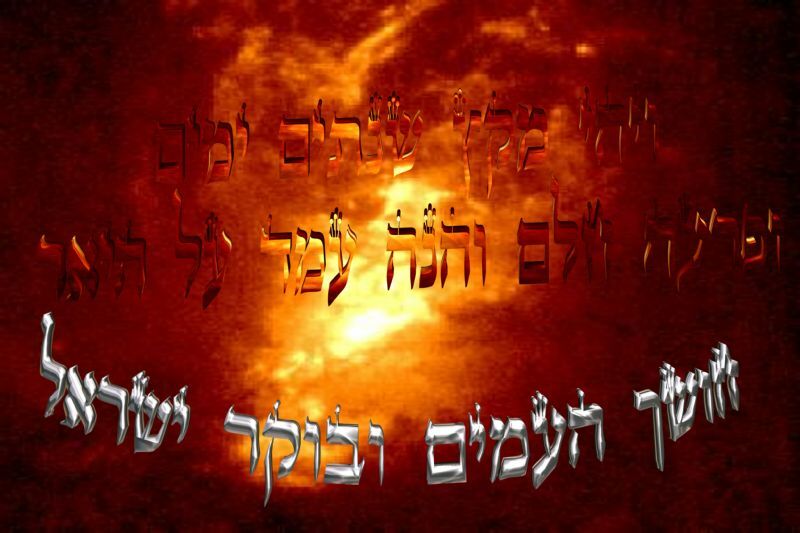 What Hashem doesn’t want, is במות המת. When we leave this world after 120 years, Hashem doesn’t want us to leave as a מת, someone whose time was already up; someone who was retired and no longer active; someone whose strengths and abilities were no longer manifest; someone who was physically there but who had effectively ceased their living task. No, on the contrary, we are exhorted to work and live until our last breath and try to bring more קדושה into this world through the מצווה of והלכת בדרכיו. This also epitomised the עבודה of R’ Avrohom Mayorer. For this vort alone, the book was well worth reading. I will always remember this vort. May his memory be a blessing.